Illegal music downloading hit an all-time high this year in the UK, a new report from the British Recorded Music Industry (BPI) has announced. And as a direct correlation — it suggests — the British music industry’s growth has stalled. 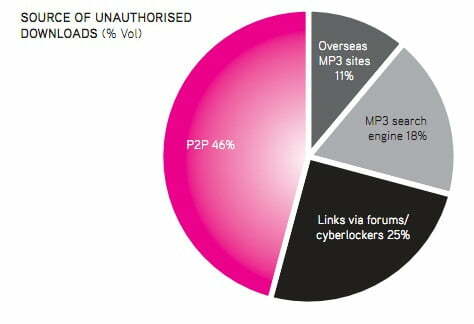 The report found that 75 percent of all downloaded music in the region is pirated, and in the past six months, consumers using P2P networks increased 7 percent. All this, in spite of the numerous legal outlets for consumers. Predictably, BPI’s research found that the most common reason consumers are utilizing illegal downloading services is because the music is free. As for a solution, the organization will continue to increase pirating awareness and music education. But if the UK’s current trends are any indication, we’re betting some legal tactics may follow in the future. A US woman was recently found guilty of illegally downloading 24 songs and fined $1.5 million, a verdict she will appeal. It seems like it’s only a matter of time until a similar situation unravels in the UK.